I was an elementary school kid at St Peter’s Lutheran Church, sitting in a pew with my family at the Good Friday service, I wish I could tell you the year, but I’m confident it was in the range of 1981-83. As the lights continued to dim toward the end of the service, there was a long period of silence, followed by the pastor SLAMMING a book down on the altar or pulpit (not sure which, I couldn’t see), to audibly represent the finality of the stone shutting the tomb of the crucified Jesus. The Latin term for this is Strepitus, in case you didn’t know and were interested. At the end of another Good Friday service (same church, same year range), a loud, jarring, dissonant organ riff tore through the period of contemplative silence, representing the curtain of the temple being torn in two (Matthew 27:51). More than 30 years ago, those dramatic experiences stayed with me, and helped me understand and appreciate the drama of that Friday. As we journey through the last weeks in Lent, approaching Good Friday and Easter, don’t let the facts of Jesus’ death and resurrection just be dry facts in a history book. Remember the drama of Jesus’ rescue mission. The hymns and songs of Jesus’ sacrifice are full of tension and anticipation. Let your worship in these next couple weeks rivet you in your seat like I was 30+ years ago. 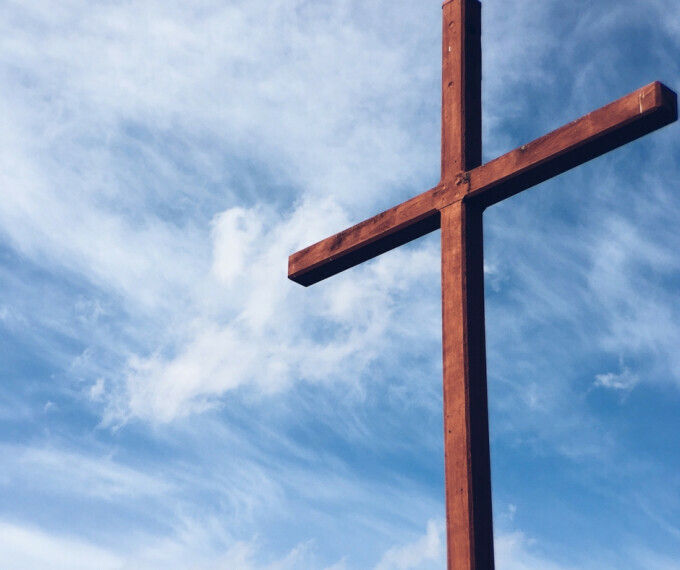 Know that the finality of the nails in the cross, the stone on the tomb, the curtain’s tearing signifying the destruction of the barrier between God and the people He loves, are for you as we continue our Lent journey together. Have you ever found it hard to trust God’s will in the midst challenges, struggles, aliments, or trials in your life? While as Christians we believe God’s ways are higher than ours, I would be lying if I didn’t admit that my sinful, fleshly desire is to sometimes follow my own plans, especially when God’s plan doesn’t go along with mine. For me, I grew up with a father who was overwhelmed with health complications that led to three transplants, 30 plus visits to the hospital each year, and a fear of losing my dad before I reached high school. From the age of 11, I suffered from chronic vertigo that only got worse the older I got. I was left bed-ridden at the age of 23 for months at a time, only to find no answers from doctors. I laid in bed with the room spinning all around me, and all I could do was call out to God. Was this His will for my life? Surely, I didn’t sign up for this! I was missing out on everything I had planned for myself. I realize my sufferings pale in comparison to so many others, but don’t we all question God’s will at hard times in our lives? Whether it’s big or small, it’s hard to trust God. From the difficulties of health, marriage, parenting, relationships, finances, life changes, work, persecution, poverty, and even the unknown, we can’t escape hardship. If this is God’s will in our lives sometimes, then how do we trust Him through it? Well, may we look to Jesus for that answer. He was the pioneer and perfecter of our faith, but found himself in the Garden of Gethsemane praying our same exact thoughts, “’My soul is very sorrowful, even to death; remain here, and watch with me.’ And going a little farther he fell on his face and prayed, saying, ‘My Father, if it be possible, let this cup pass from me’” (Matthew 26:38-39). Nothing about Jesus’ ministry or life was easy. He suffered just like us and experienced many of the same trials and temptations we face every day. However, Jesus fixed his eyes on the Father who is faithful. His perspective changed from earthly to heavenly and He was strengthened by God. Furthermore, let us fix our eyes on Jesus who provides us with our strength and hope to endure all things and to trust His will. 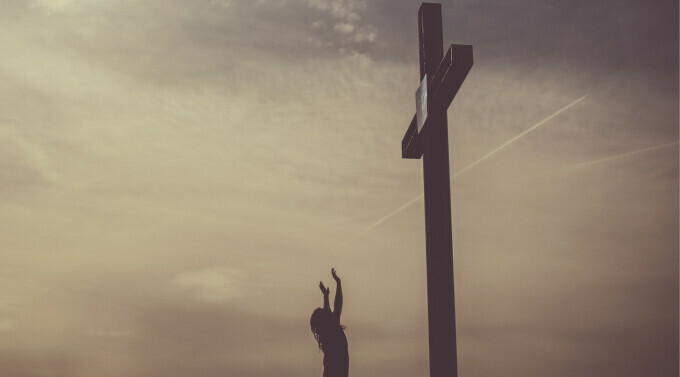 “We are afflicted in every way, but not crushed; perplexed, but not driven to despair; persecuted, but not forsaken; struck down, but not destroyed; always carrying in the body the death of Jesus, so that the life of Jesus may also be manifested in our bodies” (2 Corinthians 4: 8-10). I believe most of us would say yes to that. Just acknowledging that we have a purpose greater than any earthly matter shifts are view from earthly to eternal, and while we don’t know our future hardships, God does and He will supply our every need to face it. “So we do not lose heart. Though our outer self is wasting away, our inner self is being renewed day by day. For this light momentary affliction is preparing for us an eternal weight of glory beyond all comparison, as we look not to the things that are seen but to the things that are unseen. For the things that are seen are transient, but the things that are unseen are eternal” (2 Corinthians 4:16-18). My encouragement to all of you is to remember the key verse, “this light momentary affliction is preparing for us an eternal weight of glory beyond all comparison.” Of course, we can’t see this glory in our daily lives! That’s why we look to the things that are unseen, which are eternal. So, the next time we question God’s will, let us all remember that it has a purpose and it is producing something in us that cannot be fathomed! More importantly, when we submit and trust God’s will, we come to know and enjoy God more abundantly. As for my vertigo, it’s much better, but I still struggle with it daily. I still don’t fully understand why God put that it my life, but I’ve come to one conclusion. As I trust in Him and lean on His strength, I’ve grown closer to God. Ironically, maybe that’s been God’s will all along. Be encouraged as we Know & Enjoy God in Worship.